There’s an old saying in politics: “Remember to dance with the one that brung ya.” It’s poor grammar, but a good reminder that if a politician gets into office and ignores those voters who helped him or her get there, then those voters won’t stay loyal for very long. 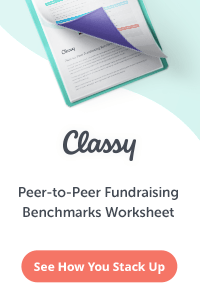 Did you know that the same basic rule applies to fundraising? 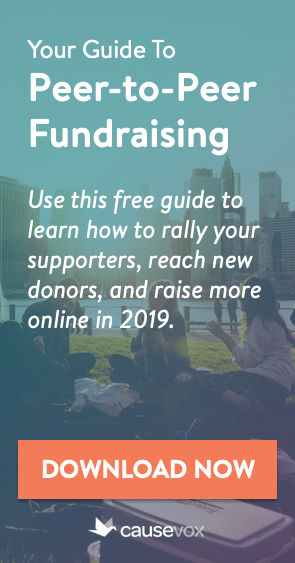 All of these strategies have some validity, in certain circumstances, but each of them fails to honor a very simple but very true rule of non-profit fundraising: Remember to dance with the one that brung ya. There’s a place for “shoot for the moon” grantwriting, and a place for mail prospecting and cold calls. 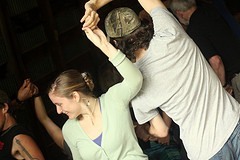 But if you really want to increase fundraising at your organization, you have to start by dancing with the one that brung ya (your current donors) before you move on to other, longer-term strategies. Your current donors are the true “low-hanging fruit” for your organization. Sure, if you send out 25 six-figure grant applications, you might get lucky and get a $100,000 grant. But, if you currently raise $3,000,000 per year, and you can convince your average donor to increase his or her gift next year by just 5%, you’ll raise an extra $150,000… and do so with a far greater chance of success than a shotgun grantwriting approach. Then, once you ask all of your current donors to upgrade and refer, you can go to your lapsed donors and reactivate them. Then you can go to your volunteers, supporters and staff, and ask them for referrals. All of which are low-hanging fruit, all dancing with the people that got you this far, before you ever have to make a cold call or send out a prospecting letter. 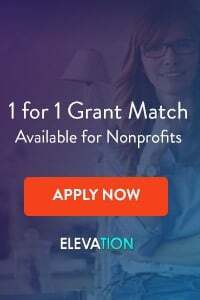 If you’ve been part of The Fundraising Authority Community for a while, you know that I am a huge fan of thinking big in fundraising, and that I support organizations setting outlandish goals and shooting for the moon. But I also realize that far too many non-profits make work harder for themselves because they fail to go for the easy wins first… they make wish lists of donors they have no connection to, instead of asking current donors for upgrades… they send out “wing and a prayer” letters instead of trying to reactive lapsed donors. Take a cue from the political world – if you want to raise more money for your non-profit, start by dancing with the ones that brung ya. Would You Like to Turn Your Current Donors into Lifelong Supporters of Your Non-Profit?